Chief Staff Officer Co-ordination Captain Eroni Duaibe. The Republic of Fiji Military Forces (RFMF) brass band turns 100 years tomorrow. Military chief staff officer coordination, Captain Eroni Duaibe has confirmed that the centennial celebration will be held at the Officers’ Mess at the Queen Elizabeth Barracks in Nabua, Suva. 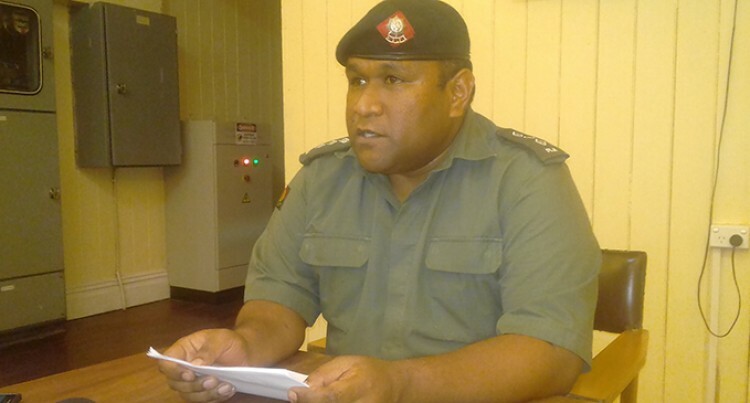 In a press conference at their headquarters at Berkley Crescent in Suva yesterday, Captain Duaibe said the band was initially the Fiji Defence Forces Band. The band was established during World War I, and was known as the Suva Town Band. “After the Fiji Defence Force Band was established in 1917, it became an integral part of the rifle company that carried out normal infantry training when it was not engaged in band practice or performance,” Captain Duaibe said. Between WWI and WWII, the band continued to rise in prominence but had to be disbanded at the outbreak of WWII. Captain Duaibe said this was because the band members joined the newly formed military units. The band has toured many overseas and Pacific Island countries. Between 1968 and 2017 they were engaged in many performances around the world including the Edinburgh military tattoo. They have performed for the Crown Prince of Abu Dhabi and also in the United Arab Emirates Military Exhibition. They were also invited to be part of the 90th birthday celebration for Her Majesty Queen Elizabeth II last year. Recently the band played at the Ocean Summit in New York, where they awed world leaders with their performance and singing. Captain Duaibe said the distinctive features of the military ceremonial uniform and the melodious Fijian voices have in recent times captivated the world. “100 years is a long time and the RFMF Band has indeed come a long way. Whenever the RFMF band plays it brings a sense of pride and patriotism about Fiji,” he said. Captain Duaibe added over the years the band has not only been the iconic symbol of the Fijian military but has become a band that is loved by many.